This medium-body smoke has Camacho written all over it. Our Criollo leaf sees extra sunrays—so it packs an extra pop of spice to complement a mellow sweetness. Earn up to 148 Points Points. This medium-body smoke has Camacho written all over it. Our Criollo leaf sees extra sunrays—so it packs an extra pop of spice to complement a mellow sweetness. It’s a true Camacho smoke that’s also at home uptown. 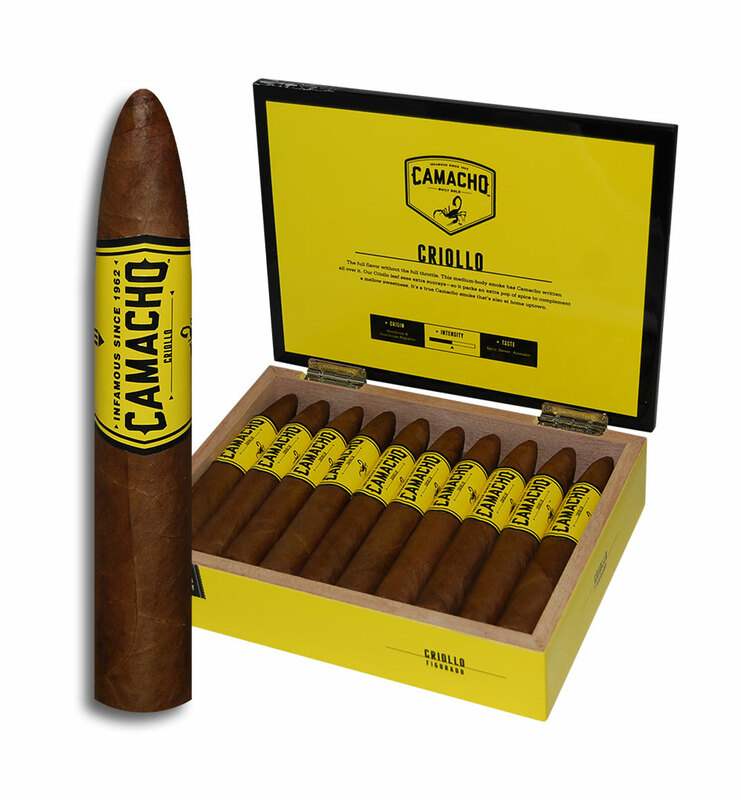 Our Camacho Criollo is a spin on the taste profile of modern day Cuban cigars. Sporting a Honduran-grown, fourth priming wrapper packed with a uniquely peppery spice, we round out the flavor by adding Dominican-grown Piloto Cubano to the filler. Our Criollo leaf thrives in abundant sunlight, giving it a spicy flavor that is undeniably intense. The addition of Piloto Cubano helps to ignite the sweetness receptors on the palate for a more balanced experience throughout. An extra pop of spice and smacks of pepper are encouraged to play nicely with Criollo’s mellow sweetness. This medium-body smoke delivers a powerful burst of signature Camacho taste.